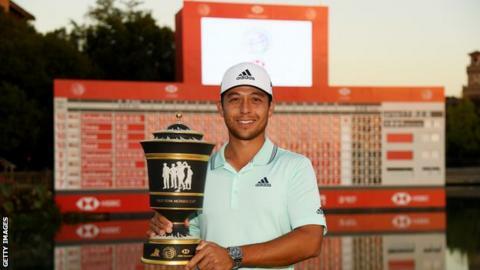 Xander Schauffele beat Tony Finau in a play-off to win the WGC-HSBC Champions in Shanghai. Finau, one of the few stars for the United States team at the Ryder Cup, took a three-shot lead into the final day but Schauffele birdied the final two holes to force a play-off. The 25-year-old went on to birdie the sudden-death par-five 18th to claim his third PGA title. Britain’s defending champion Justin Rose was third after final-round 72.